EXTRA EXTRA: Now you can monitor your competitors with TheTool! May was an intense -very intense- month at TheTool. 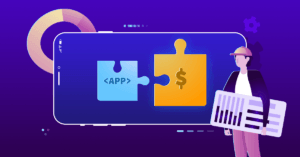 The whole IT team was 100% focused on optimizing performance, fixing some minor bugs and publishing a new feature you will love… Meet our new full ASO competitor analysis! Many of you have been asking us for a new feature in TheTool that would allow to monitor the competitors of your mobile app or game in Apple App Store and Google Play Store. Finally it’s here! BTW, we’re reminding you that our paid plans have 14-day FREE trial. Don’t miss it! Which positions in Top Charts of each category (free, paid, grossing) are your competitors ranking for? What is their trend or evolution? Check it out now with our new Top Charts Rankings for competitors module! Optimizing for Search is a MUST for every app or game developer. Which positions in Search are your competitors ranking for? What is their trend or evolution? With our new Search module you can compare your app’s keywords positions versus your competitors’ in 91 countries. See in one chart your app’s keywords rankings distribution alongside your competitors’. Did you know that user ratings are a crucial ASO factor for Search and Conversion Rate optimization? Follow these simple steps to add competitors to any app of your TheTool account and start tracking them all. Also, you can add competitors (and suggested keywords) when you add a new app in your TheTool account. Monitoring the competitors is one of the key aspects of App Store Optimization and now with TheTool it’s easier than ever before! Do you like our new competitors feature? Please, share your thoughts and opinion. Feedback is welcome! Feel free to share our new ASO feature with your contacts. Thanks in advance! CEO of TheTool and PickASO, the app marketing agency leader in Spain. He has generated over 25,000,000 downloads for his own mobile apps.